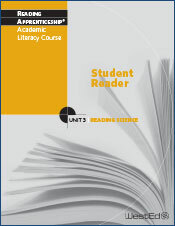 These optional transparencies are duplicates of paper copies included in the Reading Apprenticeship Academic Literacy Course Unit 3 Teacher’s Guide. Pricing is based on the number of sets ordered. Pricing is based on the number of sets ordered. Call 888.293.7833 for details.